Guess what! 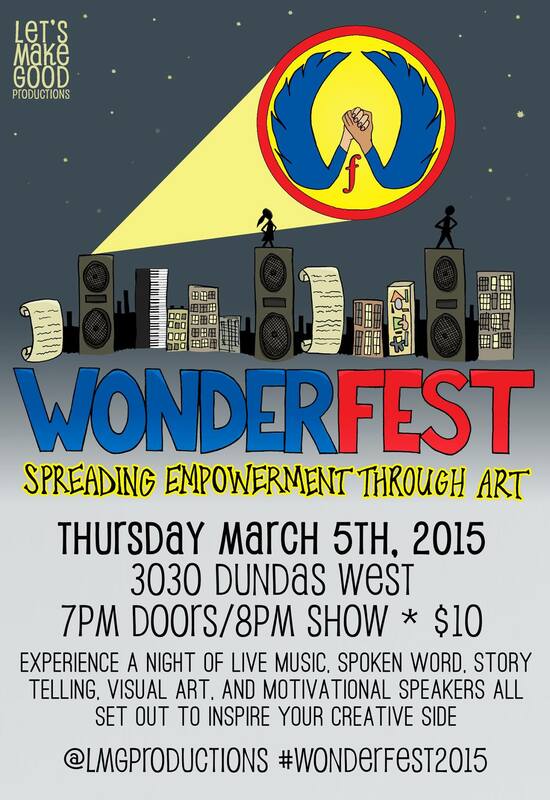 We are partnering up again with Mississauga Arts Council for another showcase at Celebration Square Amphitheatre! 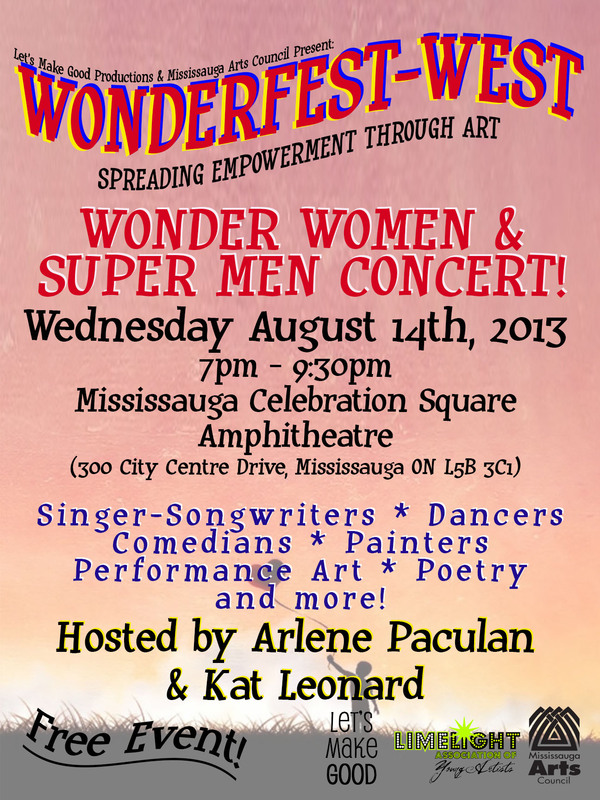 Happening Wednesday August 14, 2013, Wonder Fest-West will showcase original work of Wonder Women AND Super Men artists of all media and genres from visual arts, music, comedy and spoken word! 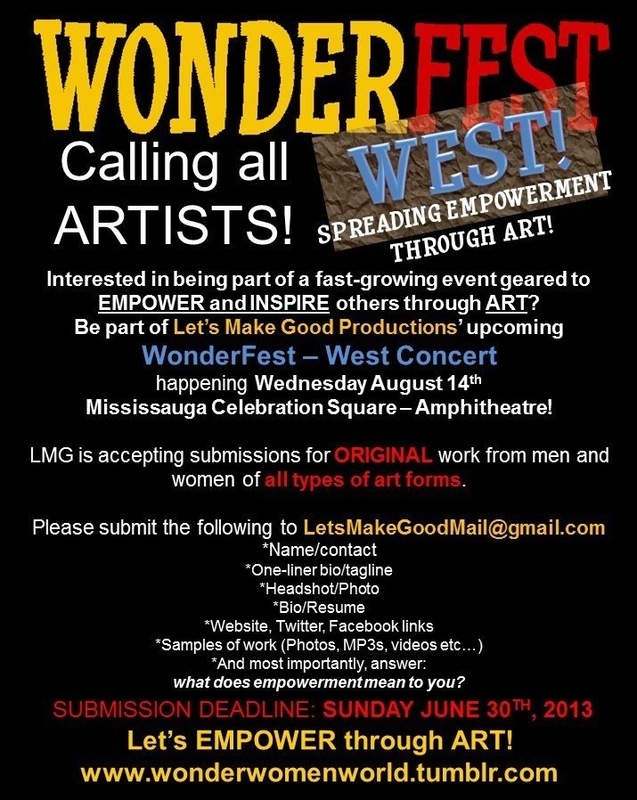 Submissions being accepted until June 30, 2013! 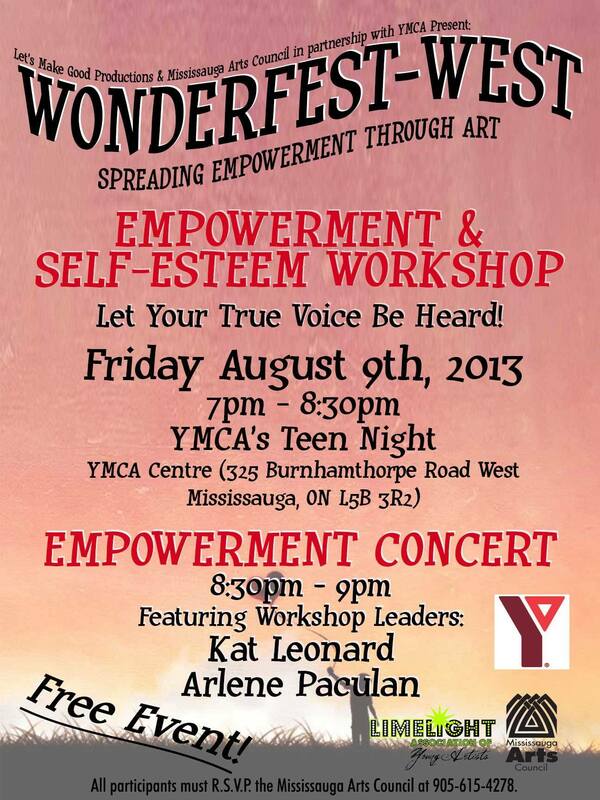 Rogers Access Peel coverage on last summer’s Amphitheatre event can be seen by clicking here! Yes here! Click here!